This entry was posted in Reading, Writing notes and tagged author, border line, Gog Magog Hills Farm Shop, publishing, self-publishing, Unseen Unsung, writing by hilarycustancegreen. Bookmark the permalink. Thanks so much for the encouragement, Cher. So good things happen too, which is just as well. Indeed, you just don’t get to choose which way the fates will jump. Don’t be too modest Hilary; there is nothing like getting well deserved praise. We are all happy for you. Good on you. You moved people by your uniquely written words, how wonderful. Well, it certainly felt very good. As does all the encouragement and variety of writing from online friends. You’re right – that is a most wonderful thing to happen. Congratulations! 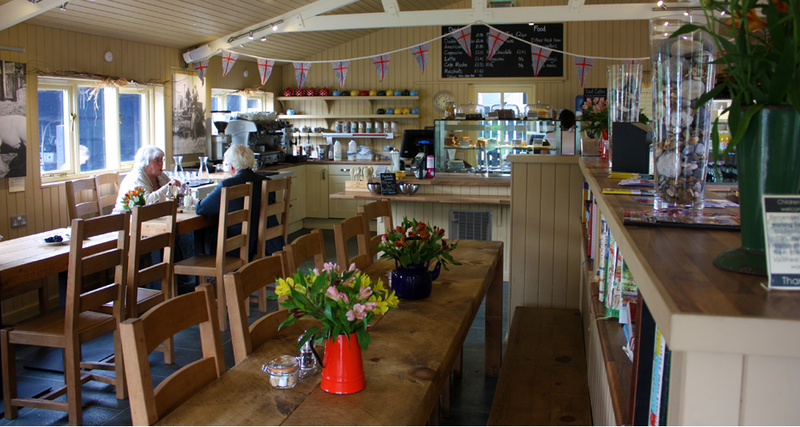 And I must say, the Gog Magog Hills Farm Shop looks like a delightful place to spend an afternoon. it was and the Gogs is a wonderful and successful enterprise. When we first went there many years ago they just sold a few eggs! Sounds very fun! And yes, that’s what authors want to hear: A reader’s enjoyment for the book. Yup, it’s the front runner in terms of what (most) authors want to hear. It was definitely fun. Well it is a very fine book so that should not be the surprise. 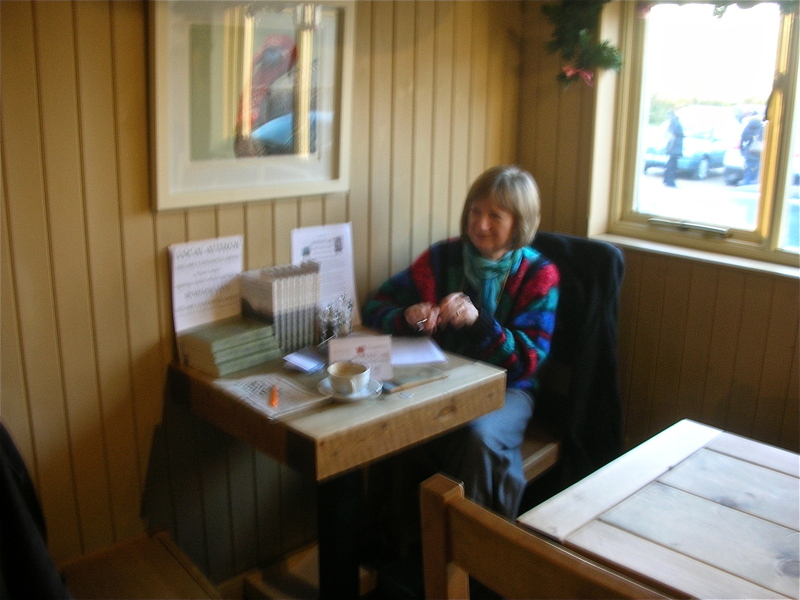 Being “author-spotted” in The Gog Magog Hills Farm Shop” is however. Was that were Noggin the Gog Magog lived? Noggin was lurking somewhere subterranean stage-managing the whole show. It really felt that surreal. Oh, what a terrific boost after all that you’ve been going through. Take that, Amazon! Thanks, it was a very reviving experience. Indeed, it’s a case of grab and run and, as you say, the more unexpected, the sweeter. I am VERY HAPPY for you !!! I swear that you were there in spirit, M-R, as this wonderful woman was embarrassing me with cries of praise, just as you threatened. Of course you could do it, and you wouldn’t have sat most of the day in the corner, talking to friends and just hoping strangers would roll up. It’s true that I may, on occasion, have leaped to my feet and hectored whatever gathering there was in the place, along the lines of “Come and talk to me, you lot ! – or shall I talk to you ?”, and grinned. That’s such a cool story! I can totally see how it makes all your efforts feel worthwhile. You’re right. Moments like that can keep you warm for years. Absolutely, I couldn’t have dreamt up anything more satisfying. Lovely, just lovely, Unseen Unsung one of my favourite books 😊. Thank you so much, I feel as though I am being bathed in sunlight. I am really happy for you, Hilary. What a lovely early Christmas gift. That’s what it’s all about. I think it’s important that you write that down in your writing diary. Have a lovely week. You’re so kind, it was indeed a gift. My writing diary…? Hmm, I think that’s my whole computer, or the pile of recycled squares of paper with lists of things I should have done all over them. Have a great week too. Fantastic story! Lovely photos too!! Thanks, I was knocked out by it. This whole business is a roller-coaster (see red-faced publisher and the one I will post tonight). Wow 😀 CHeers to you Hilary!! Thanks, I was a lucky happy author in that moment. I am so happy for you encountering that most pleasant interaction…and a fan to boot! You must have beamed inside! I did, I did, and I am beaming again, just to be reminded of it. What a wonderful, warm and rewarding experience Hilary. You deserve every word!! You are very kind. I’m not sure about deserve, I was certainly very lucky. The fates cut both ways, thank goodness. What a wonderful, positive experience! Yes, astonishing, blissful and so unlikely.